Mohenjo Daro Movie New Official Trailer Hd Video Starring | Hrithik Roshan’s | Pooja Hegde :- Finally, the wait is going to be over and the Hrithik Roshan’s starer Mohenjo Daro’s trailer will be launched on June 20 at 8:57 PM on all the Satr Networks. The trailer of Mohenjo Daro will be played for the full 3 minutes as it will start at 8:47 and will continue till 9:PM. Fans can easily watch this trailer on various channels of Star. Channels like Star Plus, Star Sports 1,2,3 and other Star Channels will telecast this trailer all over the Globe. The movie Mohenjo Daro is an epic adventure romantic movie which is directed by the Ashutosh Gowariker and features various Bollywood stars. Hrithik Roshan and Pooja Hedge are the main lead of this movie, whereas the movie also casts the likes of Kabir Bedi, Arunoday Singh, Kishoriri Shahane, Casey Frank, Manish Choudhary, Narendra Jha and Nitin Bhardwaj. 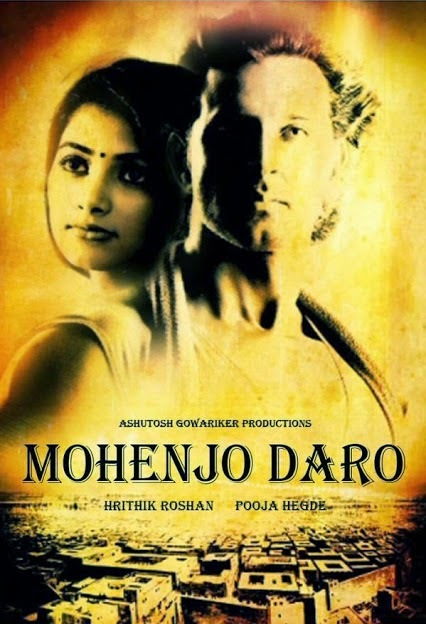 Hrithik Roshan will be seen playing the role of “Sarmal” while Pooja Hegde will play the role of “Chaani” and the movie completely revolve around the love story of both these lovers in the ancient city of Mohenjo-Daro in the era of Indus Valley civilization way back in the year 2600BC. In this Movie Hrithik as Sarmal will fall in the love of his enemy’s daughter Pooja Bedi as Chaani who is a dancer and the whole movie is all about how a normal middle-class man will be able to get his love. This movie will hit the theatres on August 12 ,2016. This movie is already expected to be a superhit and fans have like the poster of this movie and finally when the full official is all about to launch , fans must be dying to see their superstar Hrithik Roshan back after all the controversial legal fight with the Kangna Ranaut. Well, being a big Hrithik fan we all are just keeping our finger cross and will wish this movie lot of good wishes to be superhit on the silver screen.